So… although it’s the middle of January and Christmas & New Years Eve are long gone, I’m gonna have to do it. last but not least, sales. Bargain-hunting-sales-shopping, of course. 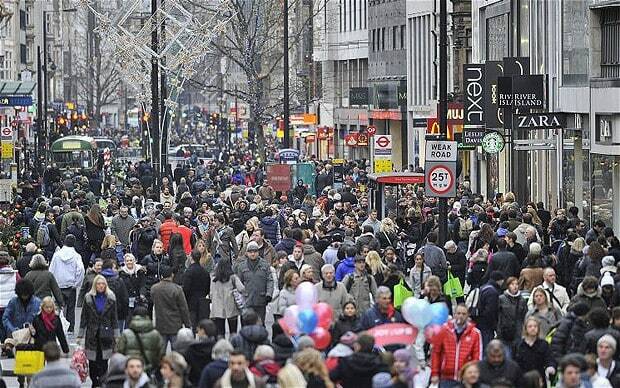 Now, I’ve got to be honest, I haven’t actually made it out to any shops for proper good old sales rummaging. We were too busy over Christmas, and finally, when the boys went back to school, the house took priority. And, now, though there are still bargains to be had if you go to actual, real shops… I’ve already done my wee bit of sales shopping online, from the comfort of my sofa and pretty much spent any budget I had allocated to the sales. When it comes to real-shop shopping, I’ve said it before… there’s not much going on in the way of shops in my small town, and often, the chain stores we do have (I’m thinking M&S and HM here) happen to have all the “crud” instead of any of the great pieces I see online. So ultimately, I didn’t actually have much of a choice with how I shopped; however, what I will say for going sales shopping in actual proper shops is this: even if something is sold out online, there is still a chance the item will be available in-store. At this point in the sales, real-shop shopping is probably the best place to bag a bargain – especially now, the very tail-end of the sales. If you can be bothered to rummage of course. I’d earmarked a few pieces over the course of Autumn to keep an eye out for in the sales; keeping a list of such items comes in super hand when the sales finally do come around… though I admit, I didn’t bother keeping a list this year which is a dangerous game when it comes to the two dreaded words we bargain-hunters fear most: ‘sold out’. The things I had in mind were mainly mid-range high street although in reality, its usually the high-end where the biggest savings are. For example, a fellow Instagrammer recently posted a pic of a lovely Gucci dress which was reduced from £3000 down to £900. OK, most of us still don’t have a spare grand to just splash on an occasional dress, but you have to admit: it’s a fantastic reduction, isn’t it? Or is it just a sign of the crazy-collosal mark-ups designer charge?! 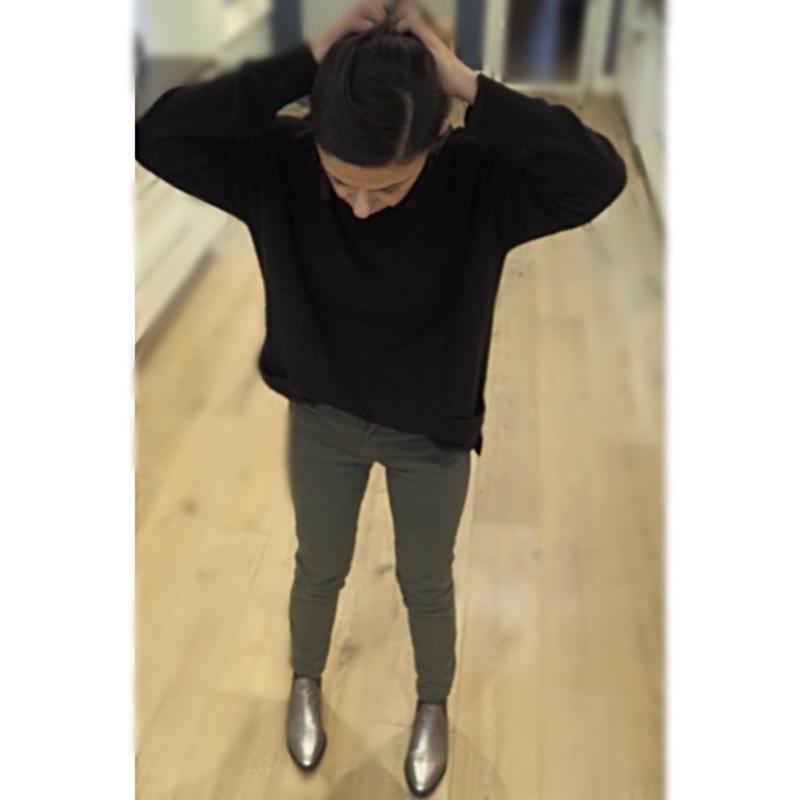 the Ida Rizzo skinnies in Foggy London: are you a size 31? These are just £35 now!! 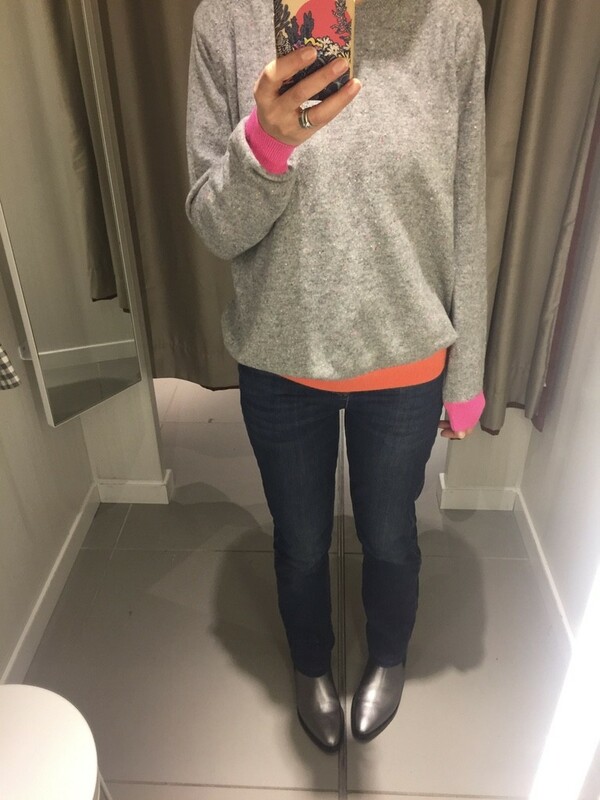 Now I had wanted these jeans in the grey (or Foggy London to use their proper colour description) and I think they were originally reduced from £165 down to something like £89, however, I dithered and wasn’t quick enough and so my size sold out. 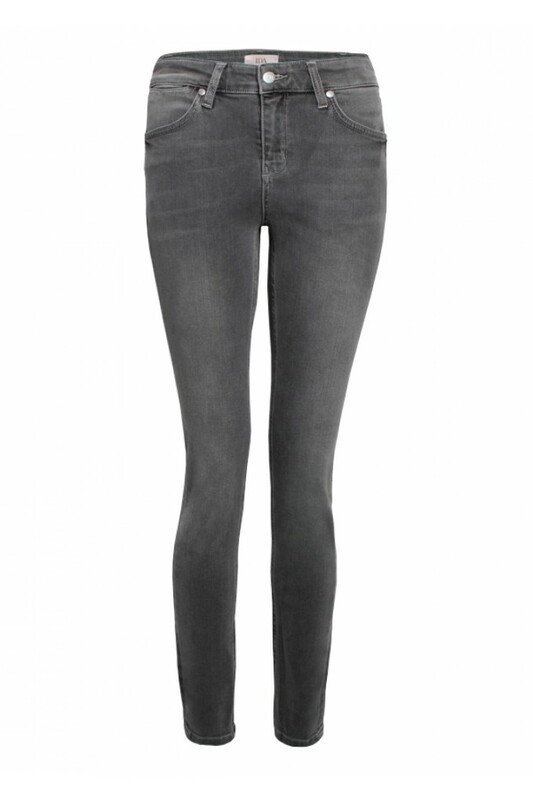 These Rizzo jeans in Mash are now down to £35, a real bargain, though there are limited sizes available only. So yes, my bargain wasn’t *the* most bargainous price, but you have to strike whilst the iron is hot in the sales… And any of the Ida jean’s described as ‘ankle’ are a great purchase for us petites as they are just the right length for us! Yes, they’d be too long for tiny 5ft me, however, easy enough to take up if you know how! These Ramona’s are reduced from £195 down to just £39. I mean… I know they’d be long on me, but that’s because I’m a really short petite-petite. I reckon if you’re 5’2″ you wouldn’t need to do anything to them at all, and if you’re taller, they they’d be more culotte-pinafore like. What are you waiting for? 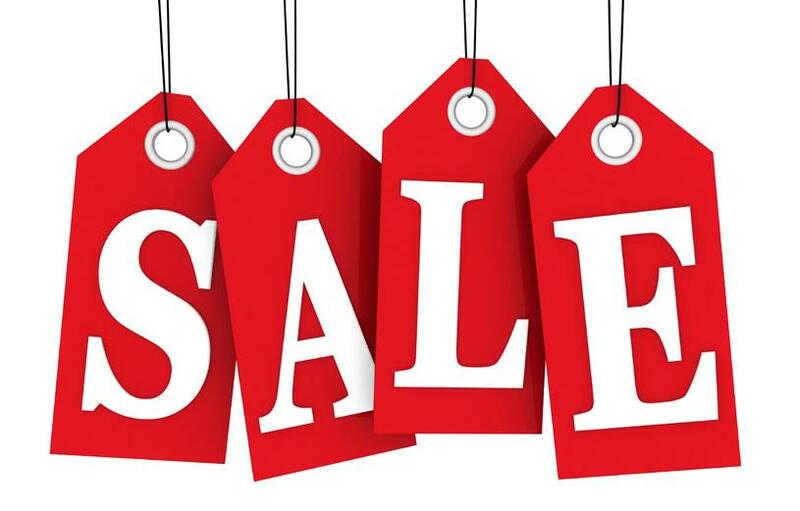 Moving onto & Other Stories, it’s bargain central in their sale right now. Now these are sold out in the silver but are still available in the Black Suede for just £45. Clearly, I’m destined not to have this dress because somewhere between placing my order and the order being prepared for shipment, the dress had sold out. It is now available in my size, but I’m being cheap and don’t want to pay for postage on it. Another great clothing staple to bag in the sales is a coat. I’ve been after a teddy coat for about 20 odd years now, ever since my friend bought a lovely cheap as chips one from New Look many years ago. My friend is a standard UK size 10 – 12, but she bought the teddy coat in size 8. Back then, New Look didn’t do size 6s so I had no chance of it fitting me. So this was reduced from £165 down to £165 when I ordered it for the first time… (yes, this is where my sales madness kicked in!) but I didn’t want to miss out on it in case it sold out. I’d just test driven an Audi Quattro, hence the daft pose. Now, before you say anything – I didn’t wear this coat “out”… Being the saddo I am, I folded it carefully and took it out in a large bag; Mr T and I had a test-drive of a new car booked in and so it meant I’d have a photographer with me and wouldn’t need to faff about with a tripod. Anyway, the husband dutifully obliged with the photography and in a last ditch attempt to try and persuade myself that I was wrong, that I could get away with the fit of this coat, I posted this photo on my Instagram where the vast majority were in the “keep it” camp. This was music to my ears of course. However, I couldn’t help but notice the coat had now been reduced to £83, though my size was sold out. I repackaged the coat back up and decided to sleep on it and over night, it came back in stock online in my size at the reduced price. So I re-ordered it at £83 and returned the £116 one. Not the best pic… sorry! Apologies for the low quality phone pic, it was the best I could manage. 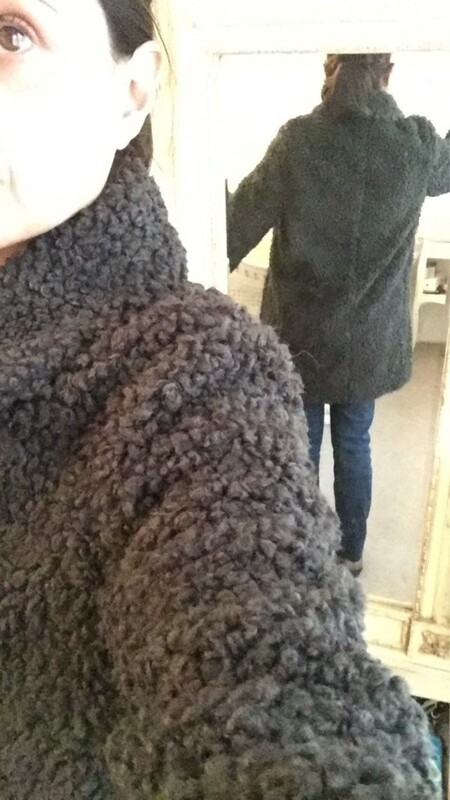 It was difficult to photograph just how roomy the coat was across my back because every time I raised my arm to hold my phone up, a lot of the excess fabric would get pulled round and so didn’t look so bad. 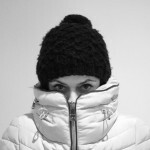 The deciding factor on returning the coat however came when I tried it on over normal, non-chunky knits. Sadly, I had to admit defeat and return it. Yup – proper sales madness. 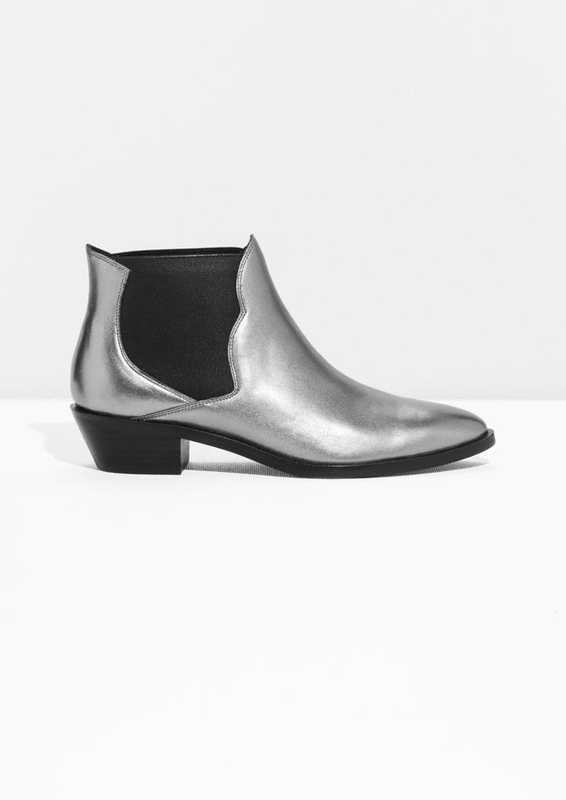 On New Years Eve morning, I checked in on these boots on the Selfridges website – they were reduced from a whopping out of my budget £450 down to £149 and all sizes were available. Naturally I added them to my basket straight away, heart pounding with excitement… however, my transaction was interrupted by the shrill screams of a four year old, I could hear the older boy crying too so I rushed to their aid… and in the few minutes it took to sort them out with a kiss & cuddle and rub their bumped heads… were just the very same few minutes in which these very boots sold out. In all sizes. The pain was real – insert all the crying emojis here – and then some more! I genuinely mourned the “loss” of getting my hands on a bargain pair of these Marant boots – which were still selling for full price (£450) at Harvey Nic’s and the like. And yes of course I tried phoning immediately to see if there was any stock in any of their stores. Of course there wasn’t. The pain of missing out on these boots was real. Honestly… it really was. So these Ganni boots were reduced from £180 to £108 in this cognac colour and only available in my size. In black however, the colour I was after, there wasn’t as much of a reduction… however, did manage to get them for the same price as the reduced Marant’s Nowles boots, but… well, I wasn’t 100% sure. 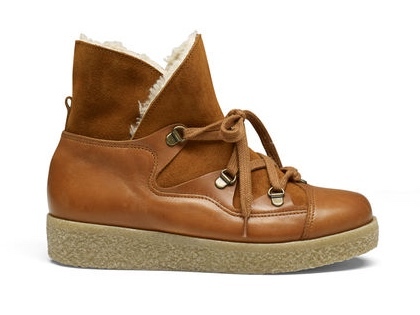 I wanted the ‘hidden internal wedge’ of the Marant’s… and the had laces! The boots arrived yesterday and I had a good old try on… they are comfy, warm, easy to walk in so I decided to keep them and sprayed them with some leather /suede protector there and then. 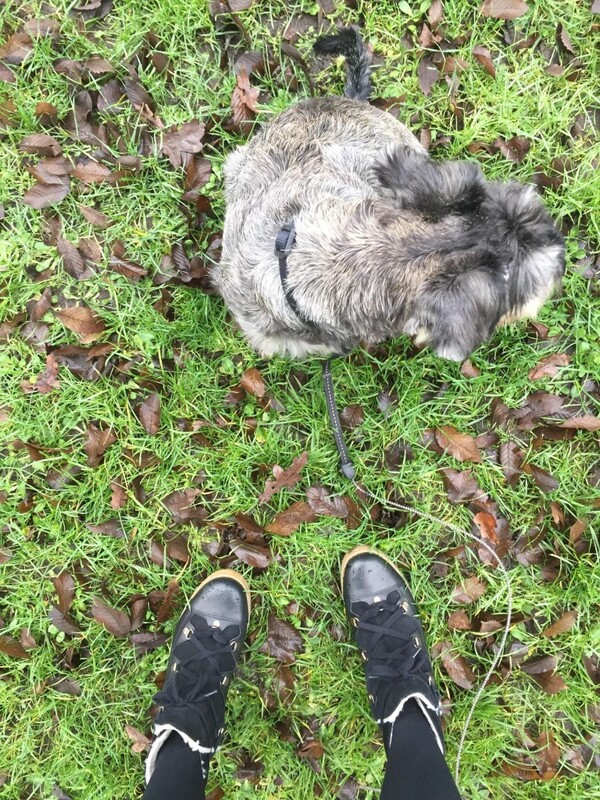 I gave them an outing this morning – perfect for my ’round town’ dog walks, though I can’t say Sylvie’s particularly impressed. I can always add red laces of my own if I really want to, though I doubt I will every get round to it. So that’s it – that’s my sales story: my sales madness if you will. How about you: do you go bonkers in the sale? or keep a cool, clear head and stick to your sales buying strategy? Or, crazier still – do you steer well clear? Really?? I don’t believe it! 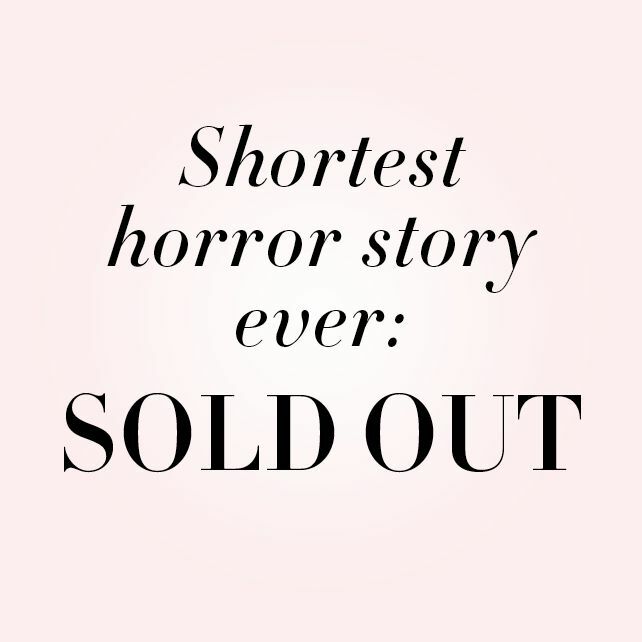 Would love to hear your sales stories & any bargain buys you’ve bought? Aww lovely….thanks so much for the mention! 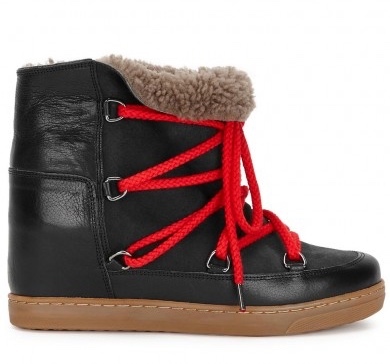 So glad you bagged the & Other Stories boots….they are gorgeous, I adore the Ganni ones too! You really know how to stalk those bargains!